Happy Wednesday, friends! I thought I would share a recipe my daughter asks me to make for a dessert to take to a potluck. This would be a great way to use up the extra Easter candy you have hanging around your house. This would make a great dessert at any kind of gathering or just as a family treat one night. 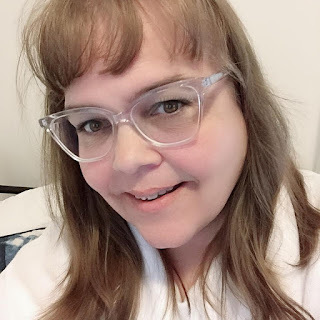 I have often made my own cookie dough and opted out of buying the premade dough because I like to know all the ingredients in what I am preparing but if you want a quicker version please feel free to use the premade dough. Remember you don't have to use the same candies and chocolate bars I did use what you have on hand. 1. Preheat over to 350*. Grease a 12 inch pizza pan. 2. Layer Cookie Dough on the bottom of the pan to cover the whole pizza pan. 3. Bake at 350* for 16 minutes. 4. Layer marshmallows on the cookie while it is still warm and then put it back into the oven for 2 to 3 minutes until browned. 5. 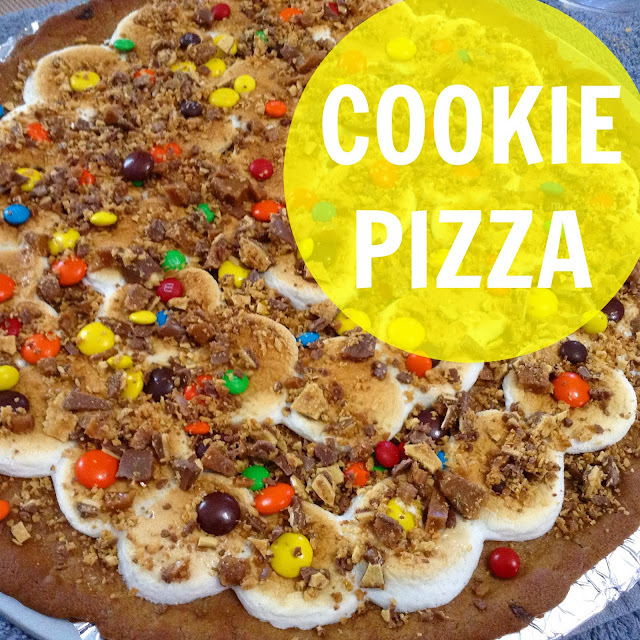 Let cool for about 3 to 5 minutes, decorate pizza with m&ms and Reese Pieces. 6. Crush chocolate bar and sprinkle it on the top of the pizza like you would cheese. What dessert do you bring to potlucks or get-togethers?